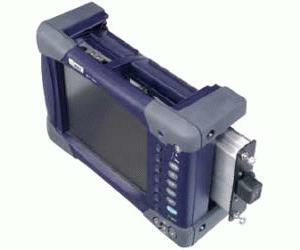 The T-BERD 6000 is a compact and lightweight test platform designed for the installation and maintenance of fiber networks. It offers field service technicians the highest levels of performance and upgradeability on the market. JDSU has developed a wide range of field-interchangeable OTDR modules that are suitable for any application on any type of network. JDSU offers over 30 OTDR modules for testing and troubleshooting any multimode or singlemode network. The T-BERD 6000 features the JDSU industry-leading 50dB UHD OTDR module. Modular in design, the T-BERD 6000 offers an extensive portfolio of test functionality, with over 40 different fiber modules supporting a wide range of applications, and is a single source for future fiber and photonic testing needs.